This year, I'll be attending the International Japanese English Translation (IJET) Conference, hosted by the Japan Association of Translators (JAT), for the seventh time. As far I ask know it is the best J-E-J translation conference for the professional development of translators and interpreters, themselves. One other major conference held in Tokyo annually is mostly aimed at agents and their employees. 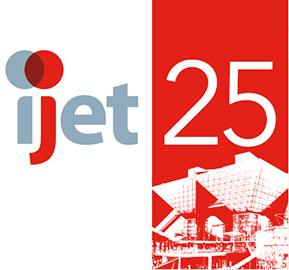 This year is the 25th anniversary of IJET, and it will be held in Tokyo for the first time. Most translators work in a bubble (be they freelance, or the sole translator in a company) with little real input or feedback. IJET is an opportunity to learn from our colleagues and more experienced sempai, and improve our skills. I always walk away from IJETs motivated – and glad that I'm a translator and interpreter. What is the best part about IJETs? The networking! With mailing lists and SNS, colleagues in translation and interpreting are more familiar, but nothing beats meeting them face-to-face and getting to know everyone better. Sometimes our on-screen personas are not who we really are. What should you know if you are participating for the first time? IJETs are great opportunities to connect with fellow translators and interpreters, and even find clients (amongst the agencies in attendance). Networking doesn't mean you have to talk shop all the time. Don't feel intimidated; get out there and just make small talk. Getting to know each other personally can, in itself, lead to introductions to lucrative jobs. Who better to recommend for a job than someone you like and trust? So have plenty of meishi on hand. I have worked on the organising committees for two IJETs (17: Kobe, 24: Hawaii) as registrar. This year, I make my debut as an IJET presenter, with Marian Kinoshita from MDK Translations. Our session first thing Sunday morning (yes, starting at 9! ouch!) is titled Getting into the Nitty Gritty. 東西、東西！Marian from Kanto and George from Kansai will present rather tricky Japanese sentences that have stumped even the most seasoned translator. Examples will feature ubiquitous gems that are so easy to understand when reading the Japanese yet require so much consideration and deliberation when rendering them into decent English. Together, they will tackle taxing samples from business, technical, art, entertainment, and other fields, peppered with unique client requirements. The success of this workshop depends greatly on audience participation, as there is no single correct answer to any translation task. Join Marian and George for lively discussions, a bit of fun, and lots of head-scratching and naruhodo-ing. We will be using examples from our own work, hoping that we inspire and get inspired about those tricky words, expressions and sentences. If you have not yet signed up for IJET-25, there are only about 50 places left. This means there are around 500 participants this year, making this the largest IJET ever.